Facebook has denied rumours that it is planning on developing mobile phone hardware in the future, although has confirmed that it is pushing deeper into the mobile space. The initial rumour of a 'Facebook phone' came from TechCrunch, with the website claiming that it has sources close to a Facebook project that claim the company is working with an unnamed third party to build mobile hardware. Facebook already has a number of smartphone apps, with plans to develop those already available and release more in the near future. 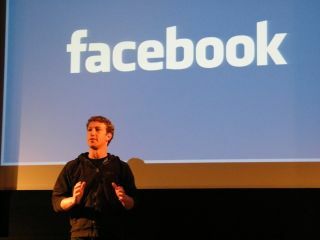 Jaime Schopflin, a spokesman for Facebook, said in no uncertain terms that the company "is not building a phone." "Our view is that almost all experiences would be better if they were social, so integrating deeply into existing platforms and operating systems is a good way to enable this. "The bottom line is that whenever we work on a deep integration, people want to call it a 'Facebook Phone' because that's such an attractive soundbite, but building phones is just not what we do," Schopflin added.